testing the new operational L5 signal transmitted by the first GPS IIF satellite (space vehicle 1 or SV1 — designated SVN-62 in the overall GPS system), which was launched May 27. On June 7, 2010, a team of experts from the German Aerospace Center (DLR) and Stanford University in California reported results of their tracking of the first navigation signals from the satellite, the pseudorandom noise code 25 (PRN25) on L1 and L2 — C/A and P(Y). The U.S. Air Force began transmissions of the first signals on June 5. The L5 signal is intended for safety-of-life applications, such as civil and commercial aviation or search and rescue. 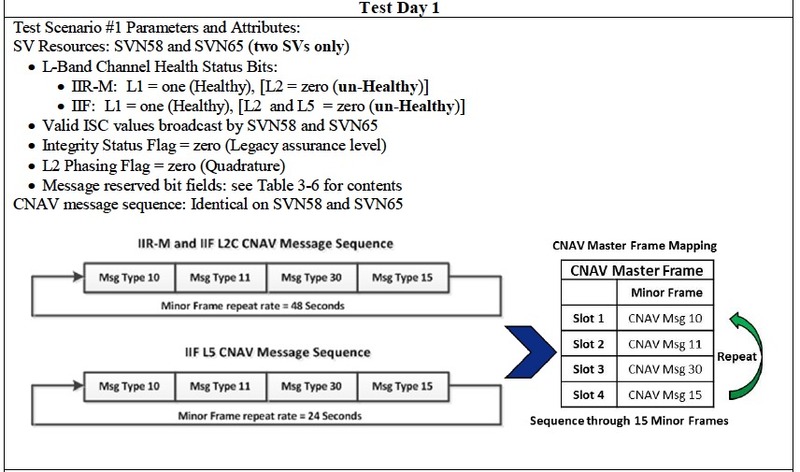 The Air Force says that test transmissions of L5 will continue intermittently, but that SVN62 is currrently set unhealthy, meaning that its signals should not be used for navigation. To independently verify the signal quality and performance of this new GPS generation of satellites, the research teams used DLR’s and Stanford’s GNSS monitoring and evaluation facilities to capture and analyze the signals continuously from the beginning of transmissions. These facilities include the 30-meter high-gain antenna at DLR ground station Weilheim (see accompanying photo), the 1.8-meter dish antenna of the Stanford GNSS Monitor Station, and several patch antennas used for GNSS receiver measurements. The new satellite generation is designed to improve signal accuracy and has an extended lifetime of 12 years. IIF satellites incorporate a new on-orbit reprogrammable processor that is able to receive software uploads for future upgrades of system operation. Extensive in-orbit tests are planned for SVN1 to compare performance, quality, and operability of this spacecraft with older GPS satellites. Therefore, IIF SV1 is expected to be set healthy approximately around 90 days after launch. DLR and Stanford will continue the signal tracking and measurements of this new satellite. A detailed analysis will be part of the July/August issue of Inside GNSS issue.